When a beauty brand supersizes one of their products, you know it just must be great stuff. 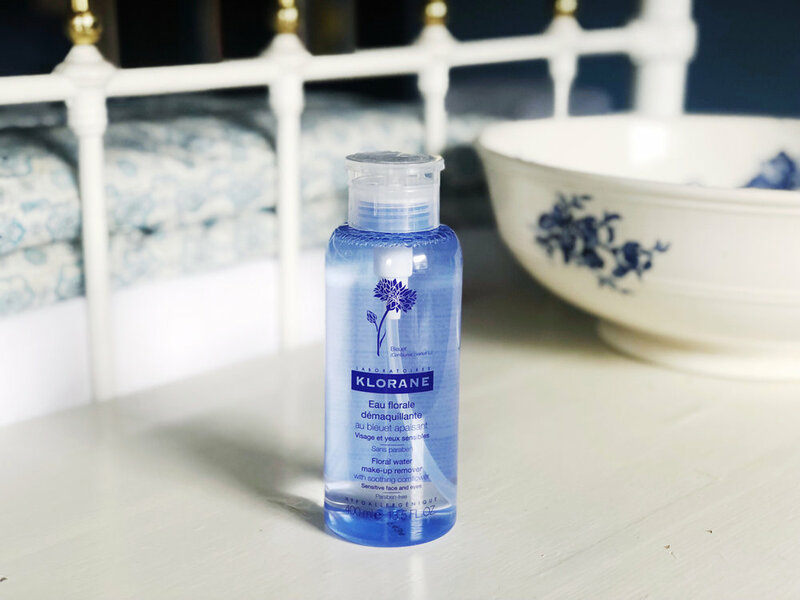 And so it is with Klorane Floral Water Make-Up Remover, from a much-loved French name - now available in a whacking 400 ml size of one of our all-time fave micellar waters. First up, it's super-gentle. Hypoallergenic, fragrance-free, alcohol-free - and so just great for touchy skins like ours. It features chamomile oil grown on Klorane's own farm, for its decongesting, calming and soothing properties. Just as importantly, it's super-effective. Incredibly so, actually. We promise you won't find an atom of mascara on your lashes, or a speck of foundation on your skin, after swiping cotton pads drenched in this over your skin. Zero tugging required – and no need to rinse, either; it leaves skin touch-me soft. You can find it in all sorts of sizes (including a useful travel version) – but what we also like about this big baby is the pump, which is tucked under the flip-top lid. You press down with a cotton pad to drench it – really easy-peasy to get just the right 'dose' for cleansing. Win L’Occitane limited edition Verbena Collections!